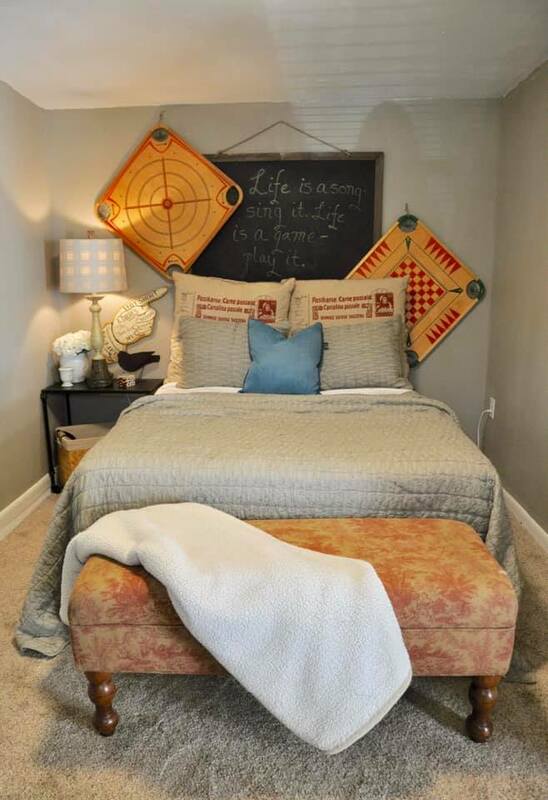 Before & After: A precious busy family needing more living space in their home has turned their garage into a loft-style apartment. 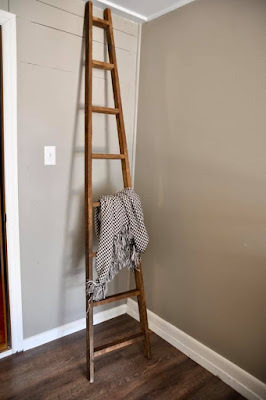 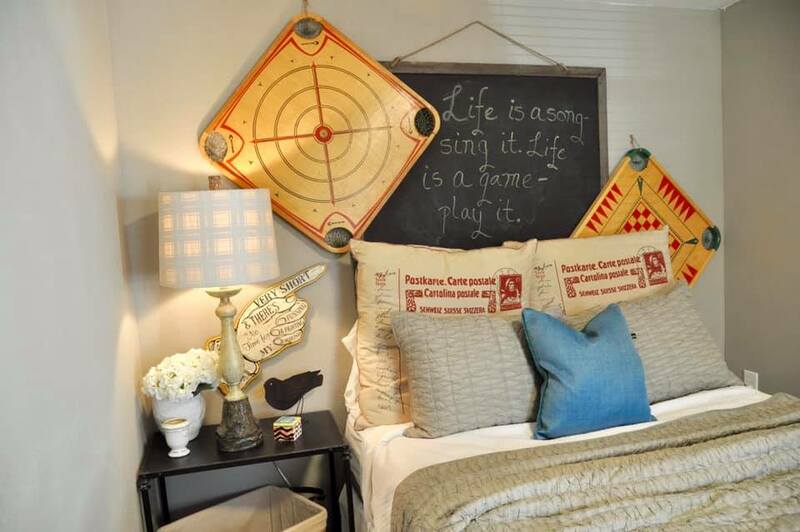 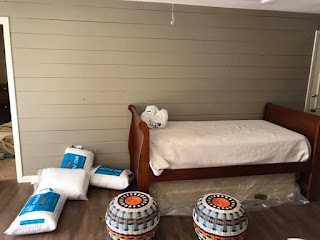 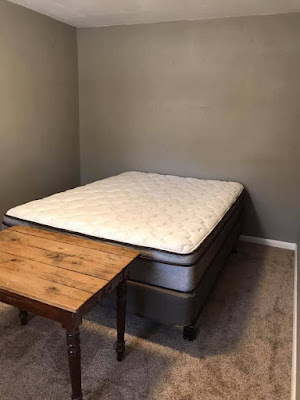 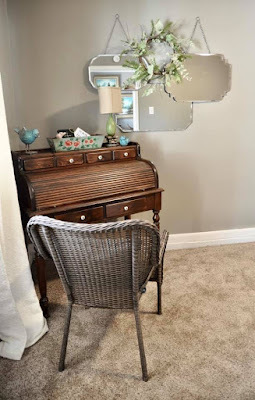 Love the grey shiplap and simplicity of this room they have created it just needed a fun feel! 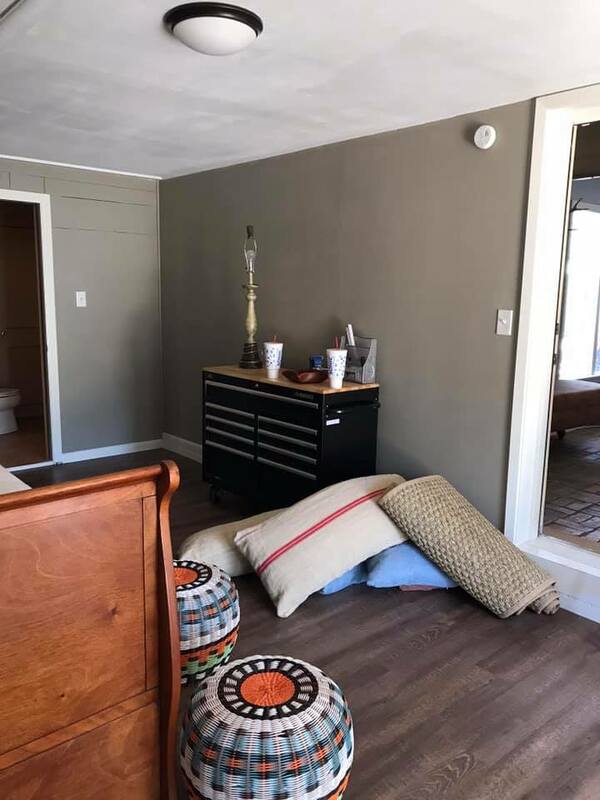 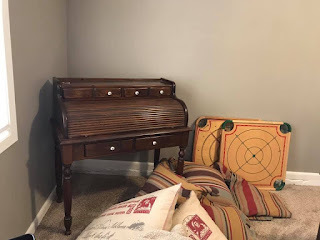 Now it is a perfect space for a quiet reading nook, a place for her sweet mother to visit, and a retreat for their sleepy college son. 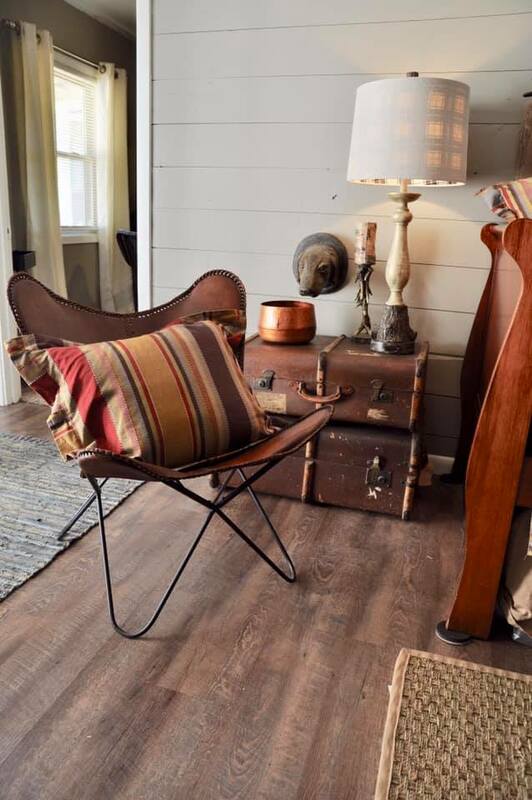 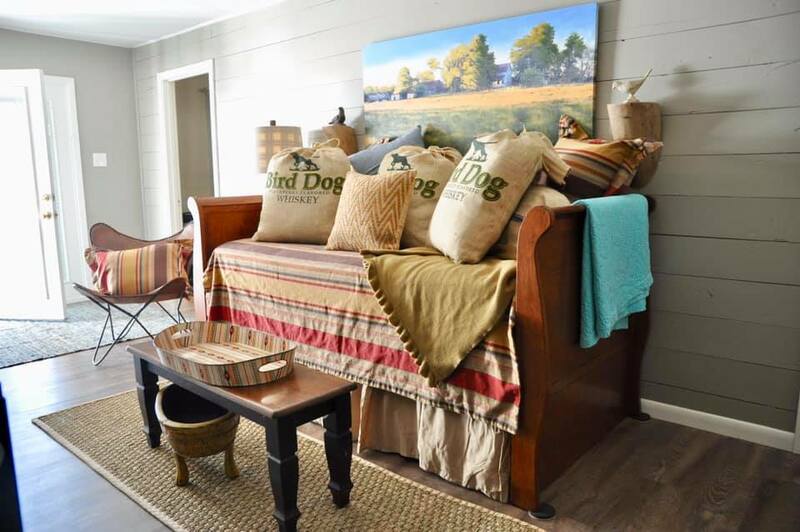 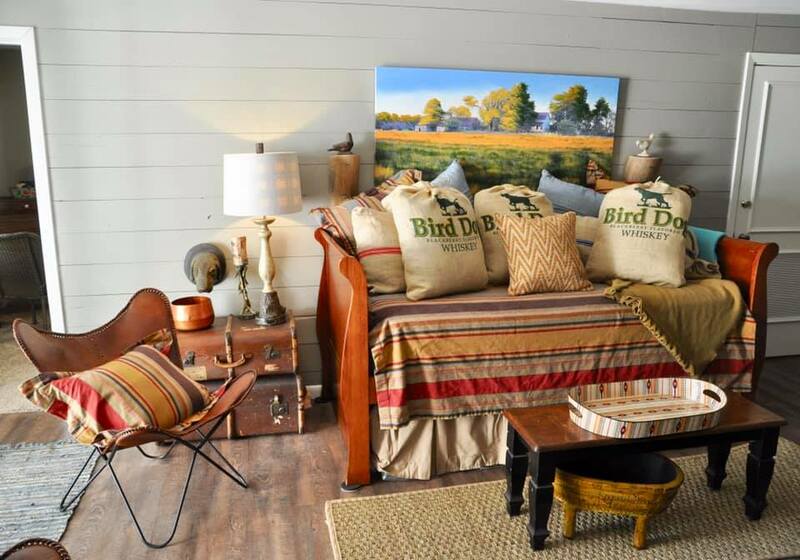 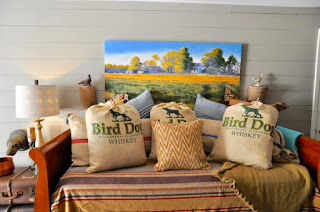 Our favorite accessories we added are the leather butterfly chairs, whiskey grain sack pillows, large blackboard, plaid rustic lamps, and grey ruched bedding. 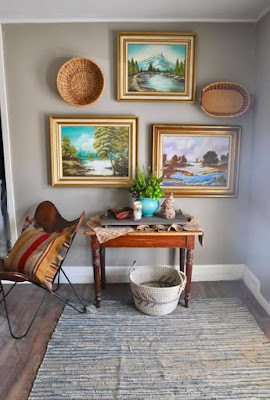 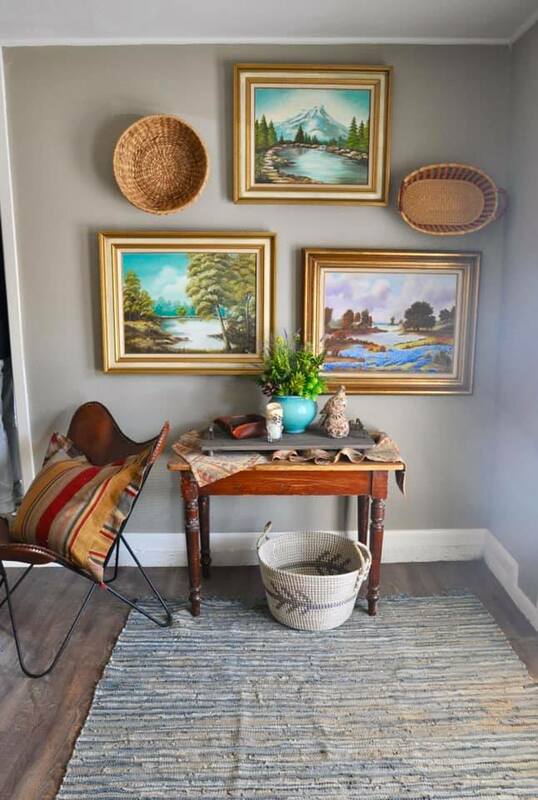 Grandmother Ruby’s paintings feel right at home now in this new relaxing space!